Rylane Celtic are looking for a challenge game this coming weekend March 1st/2nd, home or away. Innishvilla FC are looking for a friendly this coming weekend - Home or Away. Daly Industrial Supplies U18 League 1A: Passage 5 Watergrasshill United 4. Daly Industrial Supplies U17 Premier League: Mayfield United 2 Rockmount 0. Daly Industrial Supplies U19 League: Blarney United 0 Killumney United 2. FAI Umbro Youth Cup fourth round: College Corinthians 5 Malahide United, Erris United 1 Castleview 1 (aet, Erris United won 4-3 on penalties). Murphy Cup first round: Buttevant 2 Macroom 5, Leeds 1 Watergrasshill United 3. Daly Industrial Supplies U18 Premier League: Mayfield United 3 Rockmount 0. Daly Industrial Supplies U18 League 1: Carrigaline United 3 Riverstown 2, Blarney United 1 Wilton United 1, College Corinthians 5 Greenwood 1, Ballincollig 2 Midleton 1. Daly Industrial Supplies U18 League 1A: Douglas Hall w/o Donoughmore Athletic scr., Fermoy 1 Lakewood Athletic 2, Avondale United 0 Grenagh United 0. Umbro FAI Youth Cup fourth round: St Kevin's Boys 2 Carrigaline United 1. Daly Industrial Supplies U17 League 1: Midleton 2 Blarney United 3. Daly Industrial Supplies U17 League 1A: Blarney United B 1 Kanturk 6. Munster Junior Cup 5th Round: St Michael’s (Tipperary 3 Kilreen Celtic 0. City Challenge Cup 1st Round: Fairview 3 Knocknaheeny Celtic 1. 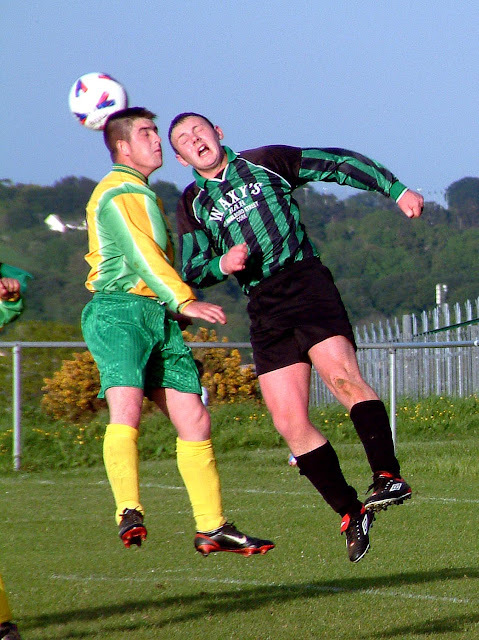 County Cup 1st Round: Strand Utd B 0 Castlelack 3 (aet); Buttevant 1 Waterloo A 1 (Waterloo won 3-2 on pens aet). Premier League: Blarney St Ath 0 Greenwood 0. AUL 3: UCC 1 Richmond 8; Glenthorn Celtic 4 St John Boscos 0. AUL 3A: Carrigaline Utd 0 Crescent Ath 4; Tower FC 0 Pearse Celtic 1.